Artistic direction, visual identity and website for an extraordinary publishing company. 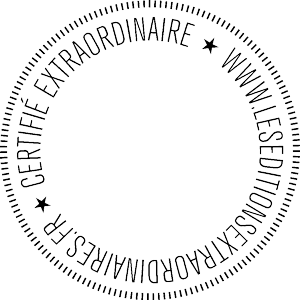 Les Éditions extraordinaires were founded in 2011, with the desire to experiment freely, and privilege quality and specificity rather than mass production. They produce books in small and very small series in various formats (paper, screen, book-objects). Echoing the problematics of this publishing company, we imagined an identity conflating paper and digital. 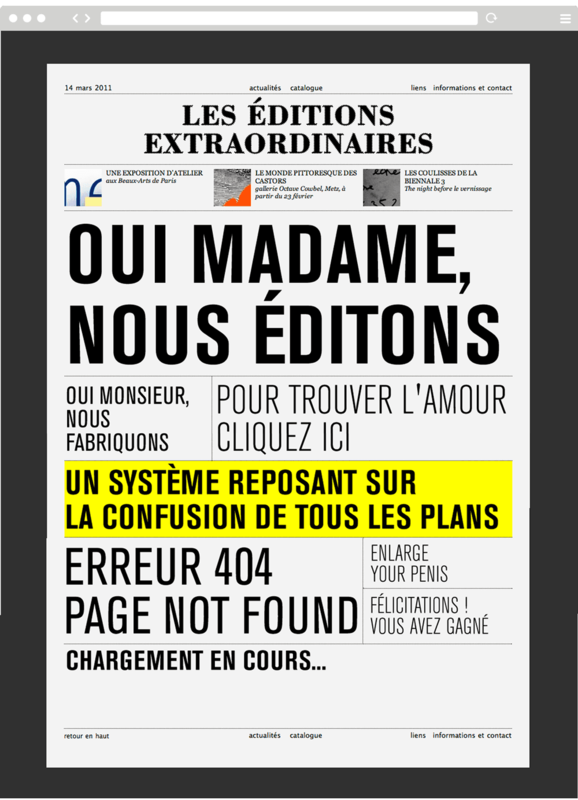 Freely blurring borders, the website makes a direct reference to the layout of newspapers, while playing with content extracted from the internet, such as error messages or spams. 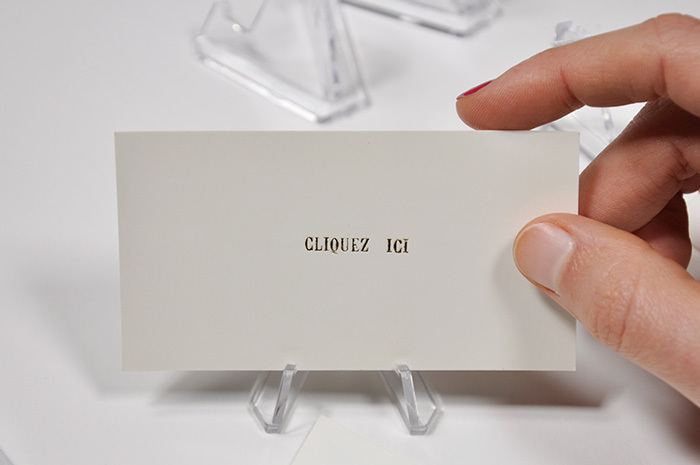 In the same spirit of hybridization, the business cards, realized in hot foil stamping, are marked with various internet messages such as : "erreur 404", "page not found", and "chargement en cours". 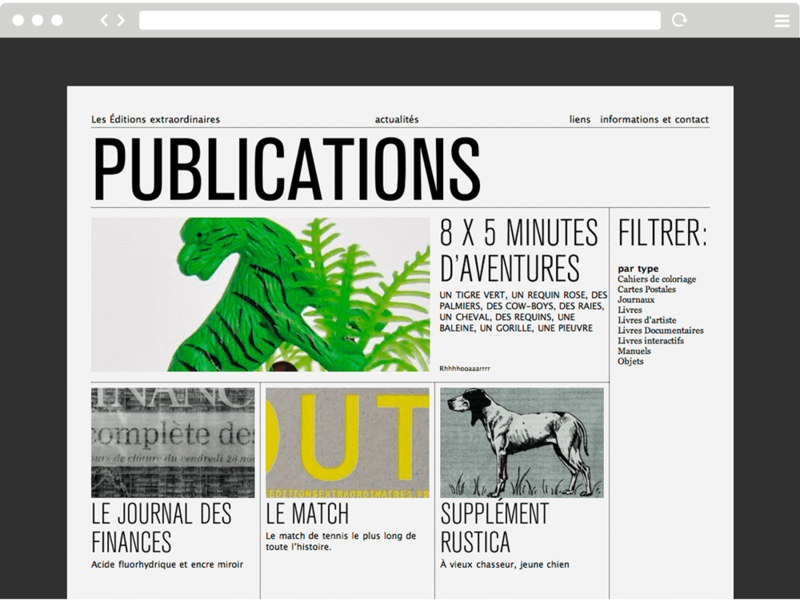 Playing on the confusion between media and fusion of the sensitive and the digital with humor, this identity underlines the peculiarity of an exceptional publishing company.